A new redesigned Microsoft Paint app for Windows 10 is coming. Twitter user WalkingCat posted video demonstrations of the new app. The new Paint app is clearly designed with Windows 10 in mind. Microsoft Paint Preview app for Windows 10 will include all the features of the regular version of Paint as well as new 3D object support. Paint Preview app users will be able to create 3D objects. 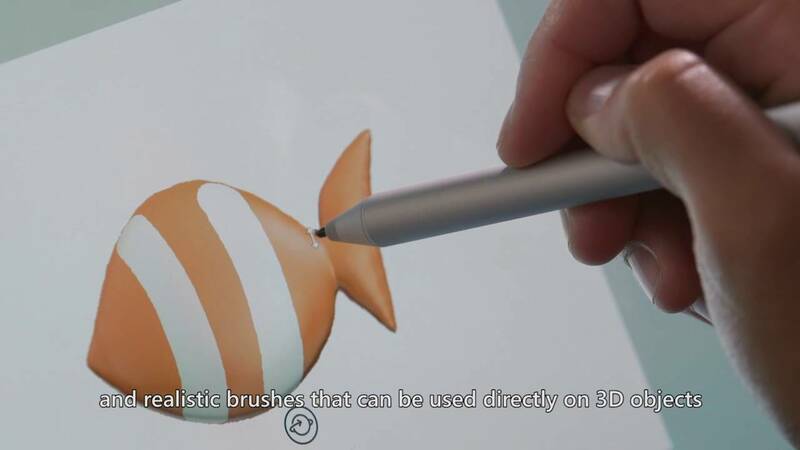 Microsoft has a range of markers and art tools to help artists create objects, and brushes that can be used directly on 3D objects. All of the tools appear to be pen and touch-friendly, with an interface that mixes 3D models, 2D images, stickers, and community tools for 3D content. Microsoft Paint Preview app is in alpha versions, and it could be released publicly soon.Microsoft is planning to hold a special event in New York City later this month. We can expect Microsoft to unveil a new Surface all-in-one desktop PC device at the event.